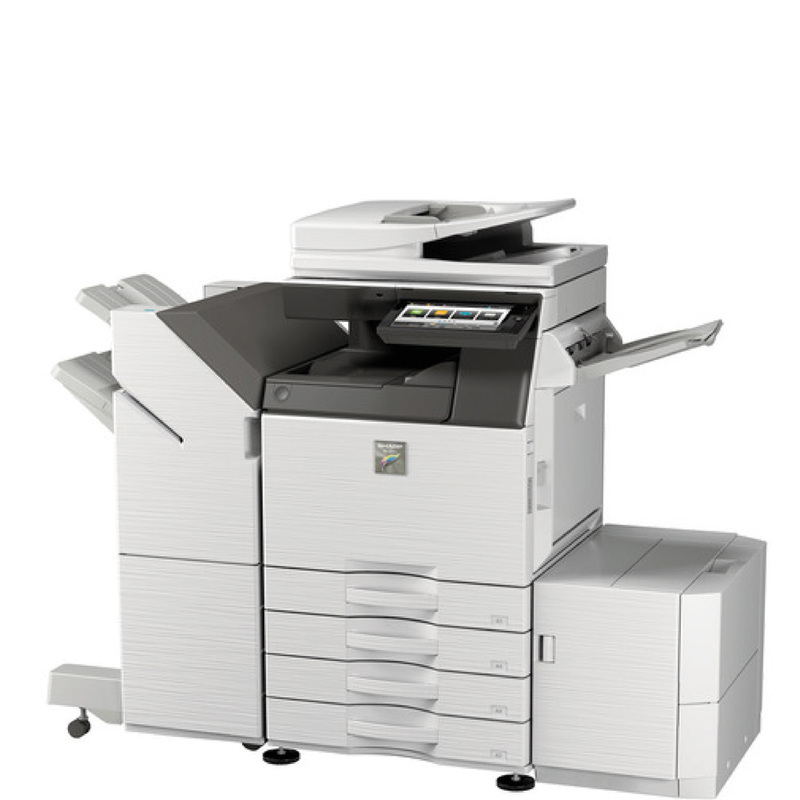 Toshiba e-STUDIO 2505AC Photocopier – Toshiba’s state-of-the-art multifunction A3 colour systems, with impressive features for outstanding document output at speeds of 25 pages per minute. The tablet style user interface not only makes the systems intuitive to use, it can also be customised according to business requirements. The Toshiba e-STUDIO 2505AC Photocopier has a new 9” tablet-style touch screen with an embedded web browser which is easy to use and customisable to meet your needs. And, it is part of the bold new look being introduced across the new e-STUDIO series. A 300-sheet high-speed, high-capacity Dual-Scan Document Feeder (DSDF) produces up to 120 IPM simplex and 240 IPM duplex is available as an option or a conventional RADF is available for less scan-intensive businesses. Toshiba e-STUDIO 2505AC Photocopier – Toshiba’s internally developed Multi-Station Print Enabler allows users to send print jobs from their desktop and retrieve them at any convenient MFP by simply swiping their badge and authenticating at that device.